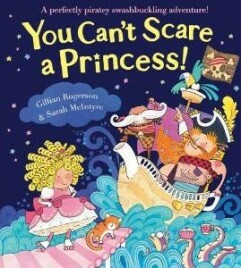 You Can’t Scare a Princess! There are pirates, there are princesses, and there are lots of roller skates in this story about roller-skating princesses and treasure-hungry pirates! Princess Spaghetti is rollerskating with her father in the palace gardens when they see a pirate ship ahoy – and it is full of pirates. The pirates are looking for treasure in the castle and they decide to hold King Cupcake hostage until they find it! On the cover of this book, is a big eye staring out at you, waiting to climb out of the pages of the book! Open the book, and you’ll find out who it belongs to – an enormous giant in a huge poster – bigger than you are. Could he be the last giant left on Earth…? Just to show you how big this giant is, he uses a lighthouse for a torch and his handkerchief is the sail from Sinbad’s ship. Each of the coins in his pouch weighs the same as a wild boar. He’s also a bit gross – there are toadstools growing in his armpits! 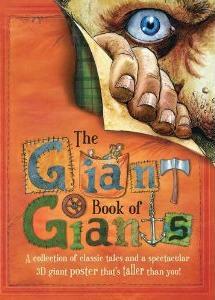 Within the pages of the book, you can find out much more about legendary giants from around the world – Jack and the Beanstalk, the Curious Giantess, Coyote Tricks the Giant and Sinbad’s Third Voyage. Incredible stories, brilliant illustrations, fabulous giants and some great heroes.